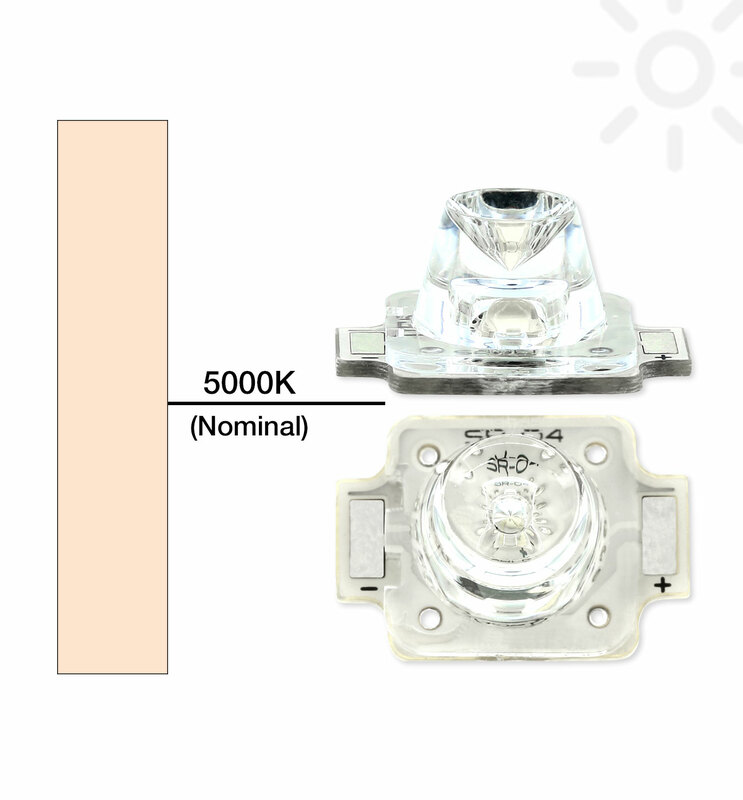 The SR-04-5000-503 side emitting, high power LED assembly combines a Fraen F360L-3C-S side emitting lens with a single LX18-P150-3 ANSI White, LUXEON Rebel Plus LED reflow soldered to a 15.6mm by 11mm CoolBase with solder tabs. The FR4 CoolBase offers a high efficiency thermal design that matches or outperforms* standard aluminium MCPCB bases. The SR-04-5000-503 can be ordered in any quantity with quantity discounts available.